Santa is pictured entering the Riverbend Arts Council building before greeting the children on Saturday. 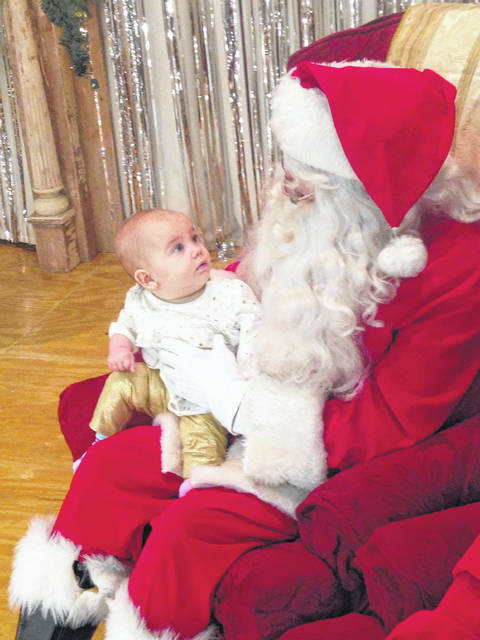 Ireland Rain Phillips was the first to sit on Santa’s lap Saturday in Middleport. 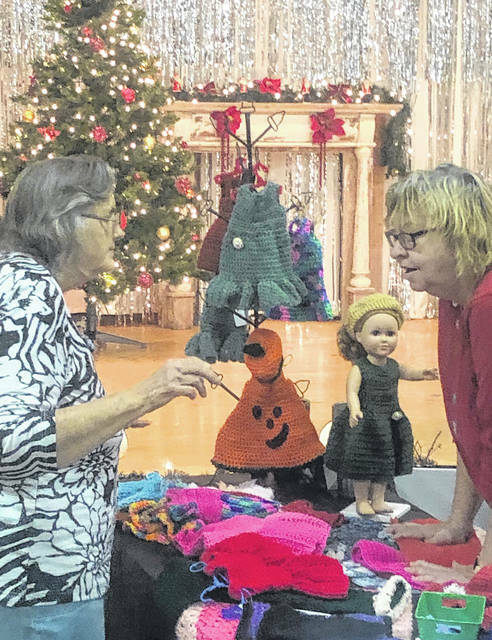 Several crafters and vendors were set up for the annual Christmas Market. MIDDLEPORT — The rain may have cancelled the parade, but it did not dampen the spirits of those in Middleport for the annual Christmas celebration on Saturday. The event, sponsored by the Middleport Community Association, featured the Christmas Market with many local vendors, carriage rides around town and a visit from Santa. Numerous individuals spent time browsing for holiday gifts and decorations, while children lined up to tell Santa exactly what items are on their Christmas list. 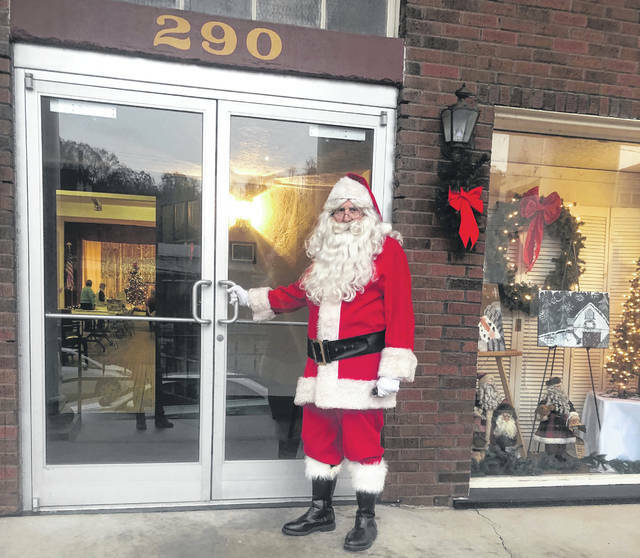 https://www.mydailysentinel.com/wp-content/uploads/sites/14/2018/12/web1_12.5-Middleport-1_ne2018124105143953.jpgSanta is pictured entering the Riverbend Arts Council building before greeting the children on Saturday. https://www.mydailysentinel.com/wp-content/uploads/sites/14/2018/12/web1_12.5-Middleport-2_ne2018124105147877.jpgIreland Rain Phillips was the first to sit on Santa’s lap Saturday in Middleport. https://www.mydailysentinel.com/wp-content/uploads/sites/14/2018/12/web1_12.5-Middleport-3_ne2018124105152924.jpgSeveral crafters and vendors were set up for the annual Christmas Market. 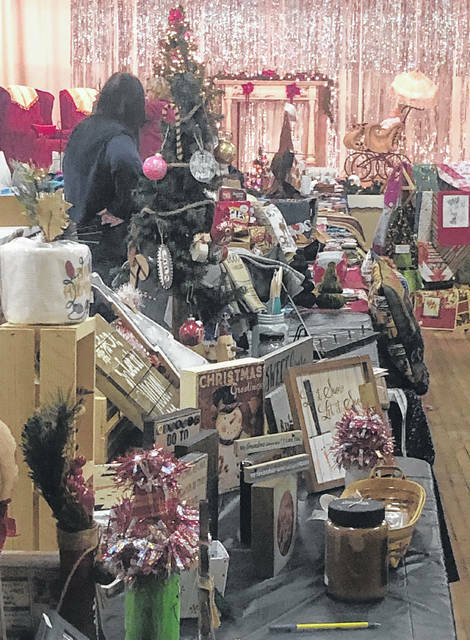 https://www.mydailysentinel.com/wp-content/uploads/sites/14/2018/12/web1_12.5-Middleport-4_ne2018124105158385.jpgSeveral crafters and vendors were set up for the annual Christmas Market. 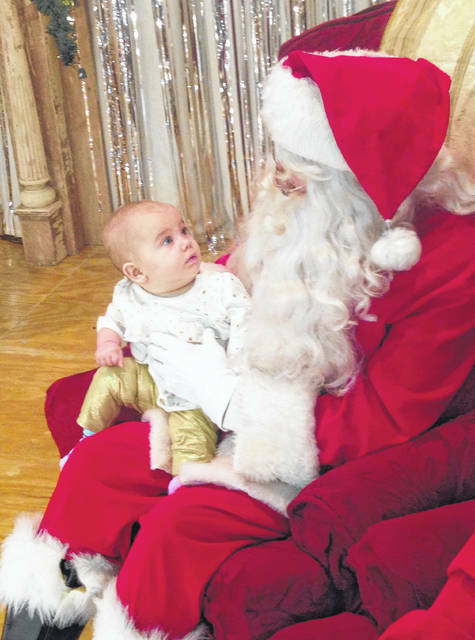 https://www.mydailysentinel.com/wp-content/uploads/sites/14/2018/12/web1_12.5-Middleport-5_ne201812410524106.jpgIreland Rain Phillips was the first to sit on Santa’s lap Saturday in Middleport.